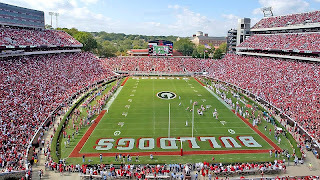 Georgia starting safety Josh Harvey-Clemons was suspended for the Gator Bowl for a violation of team rules, and now the Atlanta Journal-Constitution is reporting that the suspension will carry over and keep Harvey-Clemons off the field for the first three games of the 2014 season. I'm going to need someone to find his weed man and give him a good talking to. Wonder if his weed man is a Tech fan. Kinda feel for his grandpa who came to his defense only to be misinformed. Considering Ty Flournoy-whatever got the boot last time I'm surprised didn't. Guarantee he's done if this happens again. On the other hand Spurrier and Miles would have made JH-C team captain. I believe Ty had other issues that were only tangentially related to the reefer.